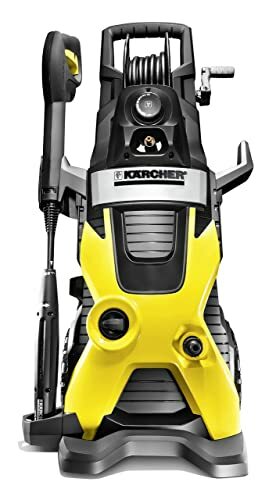 Here is a review of some of the residential Karcher jet washers that are popular, their specs and why they have the best products in the market. A Karcher jet washer is a quick and efficient method of cleaning and removing mud and dirt. 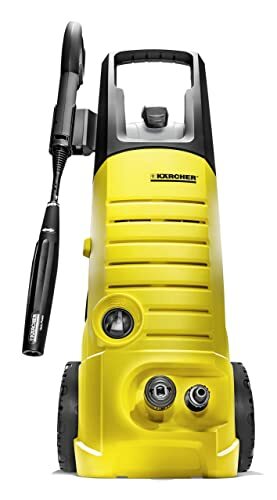 Karcher is a company that manufactures jet washers (also know as pressure washer). They currently have 18 gas jet washers and 21 electric jet washers that you can choose from. These range from 1.25GPM to about 3.6 GPM and 1,500Psi to 4,000 PSI. They also have professional grade units. It is one of the oldest companies in the industry. It began in 1950 by Alfred Karcher (in Germany) when he invented the first one. Karcher expanded internationally in 1962. In 1967, they changed the brand color from blue to their signature yellow. By 2015, they had $2.3 billion revenue and were currently selling jet washers in 60 countries providing jobs to 11,000 employees. They have sold over 50 million jet washers. Today, Karcher is like the Toyota of the pressure washer world. Why Buy Karcher Jet Washers? Karcher jet washers have been used to clean some of the worlds’ iconic buildings. In the last three decades, Karcher has been used to clean the Seattle Space Needle, Statue of Liberty, and Mount Rushmore. This shows that their products are definitely reliable. Although this is a marketing ploy, it displays what exactly the Karcher equipment can do. The landmarks are cleaned and the news coverage highlights the best of Karcher products. Karcher has active customer feedback and pressure washing knowledge that they use to increase innovation. 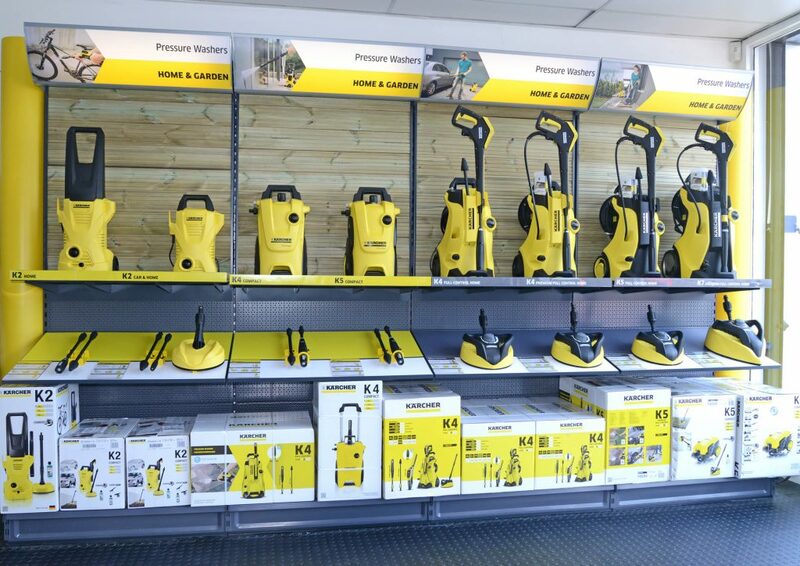 How Does Karcher Stand Out from Other Brands? Other than selling over 12.8 million units and being one of the biggest companies, they have other great qualities that make them stand out from the other brands. They have several resources that are used in research, engineering, and development. This helps them to be a step ahead of other companies. It also allows them to manufacture at a scale. A comparison between Karcher and Sun Joe shows that Karcher is much more expensive. Sun Joe offer a high GPM and PSI machine that is cheaper than a Karcher machine with the same PSI and GPM. However, Karcher offers a wide variety of models than Sun Joe. They have much better facilities that can manufacture good machines without compromising them. Ryobi is a Hong Kong holding company that manufactures pressure washers. They have great offers. Ryobi, however, offers a limited range. It only hits the main price points. Karcher, on the other hand, has more units. It, therefore, has more price points. Karcher does not have to struggle to make a profit at each price point. K5 is the most popular pressure washer. It holds the perfect combination of power, price, and performance. Thanks to the 2,00PSI and 1.5 GPM, it can handle almost any job around the house. The pressure washer is part of the premium range. This means it has an N-COR pump (Non-Corrosive pump) and a water-cooled induction motor. The water-cooled motor guarantees 5X more life because the water circulating around the motor keeps it cool. This allows you to use it all day without having to worry about overheating. The K5 has a time saving connect system. All the outlets can be connected easily. It has two outlets, the hose to wand connector and the garden hose connector. It can be connected directly to a rainwater tank or any other tank that you have. The N-COR self-priming pump has great siphoning abilities. This pressure washer is new in the market. It is a great option for cleaning small surfaces like patio furniture, car or back patio. It has a four-wheel design, making it follow you around when washing. It has zero maintenance. It makes cleaning the outdoors fun and easy. This pressure washer has a Vario power spray wand and dirt blaster spray wand. The Vario spray allows you to adjust between low pressure and high pressure without having to switch the nozzles. Just like the K5, it has an N-COR pump. It has a GFCI power cord. This is a light duty pressure washer. Its selling point is portability and price. The equipment is small, and the pieces are compact. This is perfect if you are constantly moving or you live in an apartment. It is suitable for small cleaning needs. 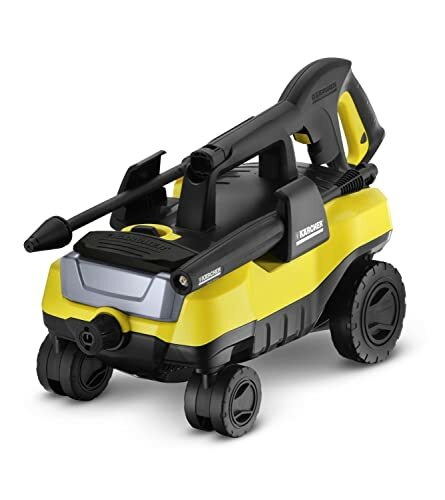 Karcher also makes a variety of gas pressure washers in addition to the electric pressure washers. They come in a variety of styles and shapes. Below is one of the most popular gas pressure washers. 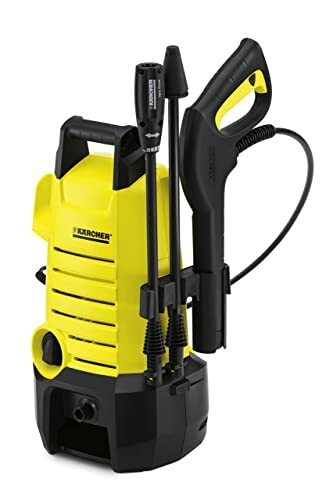 This Karcher power washer is one of the top-rated ones on Amazon. It has a 4.5 out of 5 rating. It is a great value for your money. It has a reliable axial pump that is powered by a 196cc gas engine. 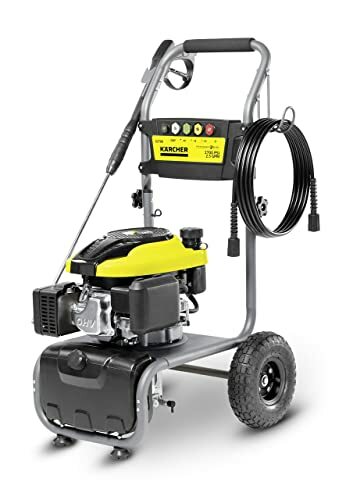 This pressure washer is suitable for cleaning work trucks, driveways, garage floors, house sides, and patios. It has a welded steel frame, which makes it durable as it can withstand the rigorous demands of frequent use. This pressure is often on sale on Amazon, so be sure to check it out. Karcher is one of the largest companies. There are several pumps that you can choose from according to your preferences. The variety can be overwhelming. Ensure you do a lot of research before buying a pressure washer to get the best bang for the buck.